Milwaukee Hyperwire™ wire brush products offer faster material removal and greater life yet maintain a finer finsh. 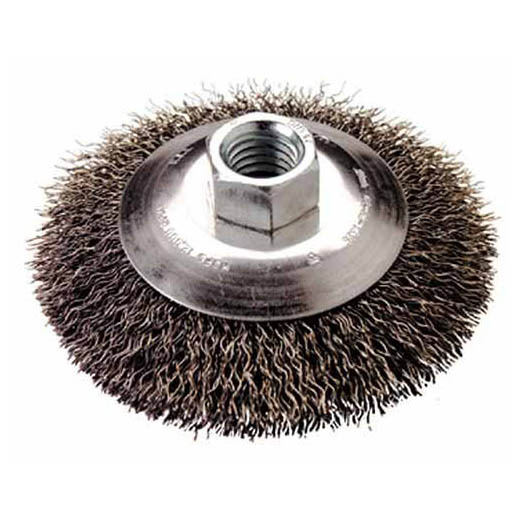 The Bevel Crimped Wire Brush is suited for general purpose surface cleaning and conditioning where the operator is likely to have an uneven surface. Milwaukee offers Bevel Crimped Wire Wheels in both carbon and stainless steel.